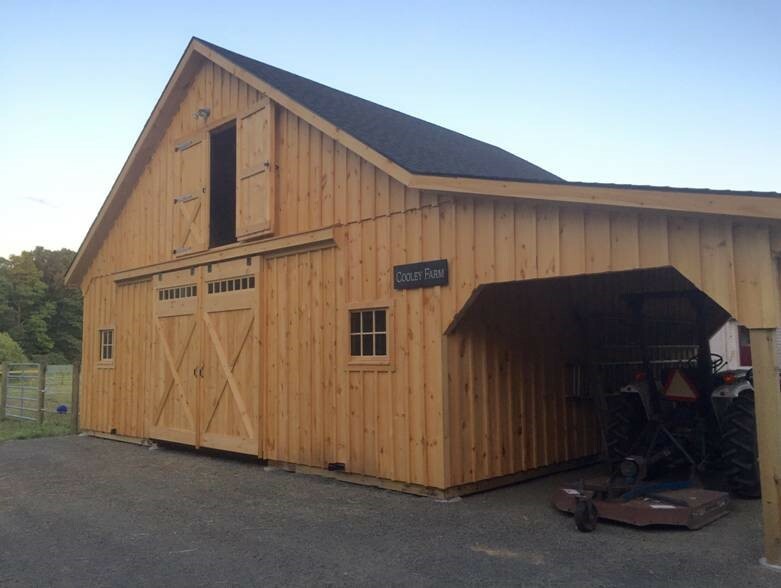 This is a 30’x24′ modular barn with 10′ lean-to in the high country style. 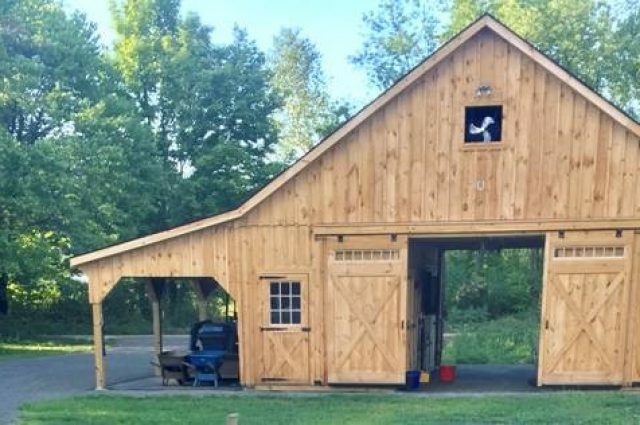 This Leverett, MA high country barn was built with white pine board and batten siding. 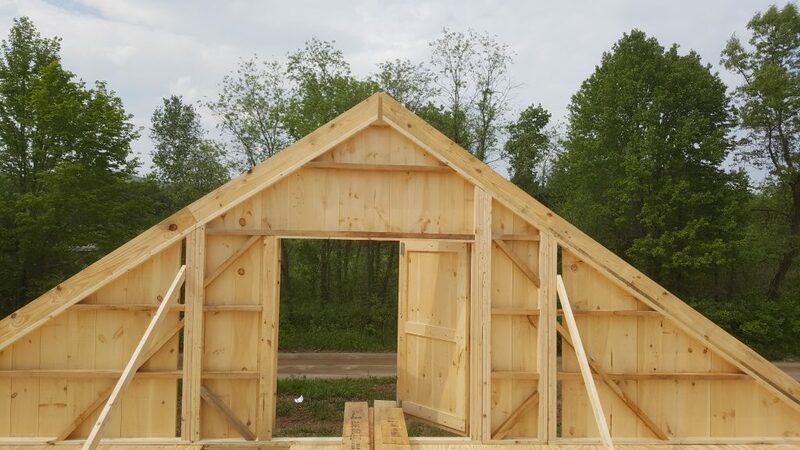 It has 8 pitch rafters and architectural shingle roof with BP Everest 42 (Shadow Black color) shingles. 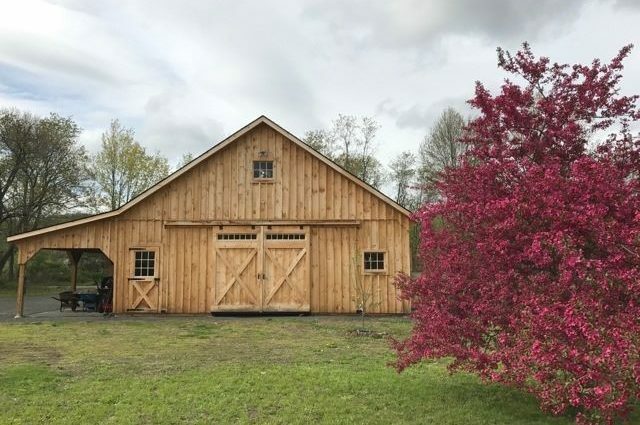 The windows are sliding wood barn sash windows by Bird-In-Hand Windows. 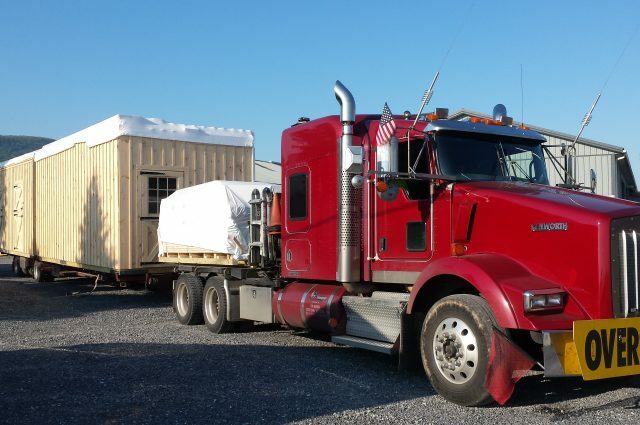 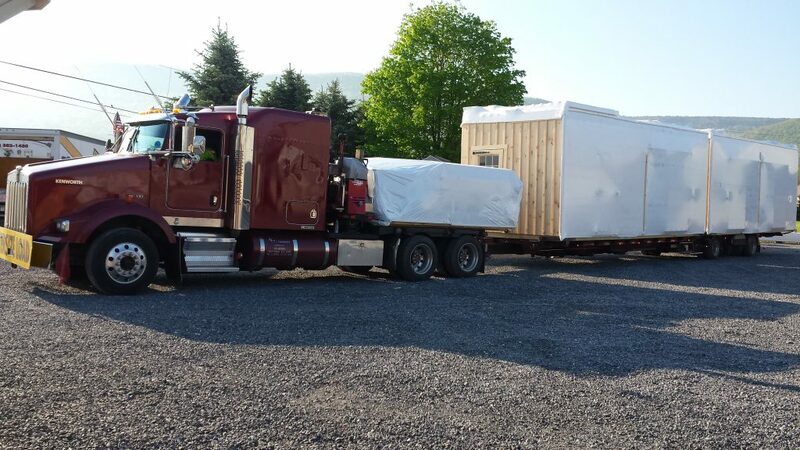 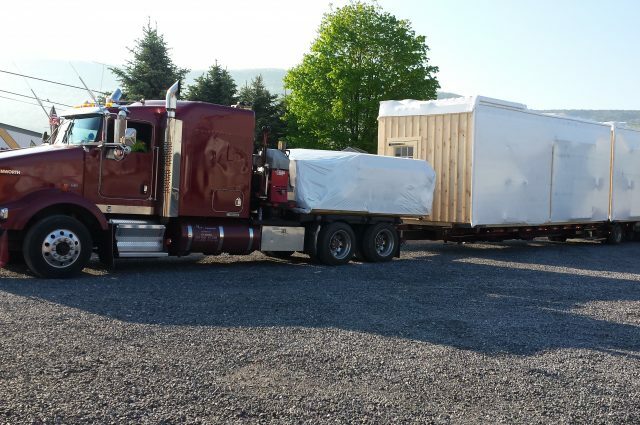 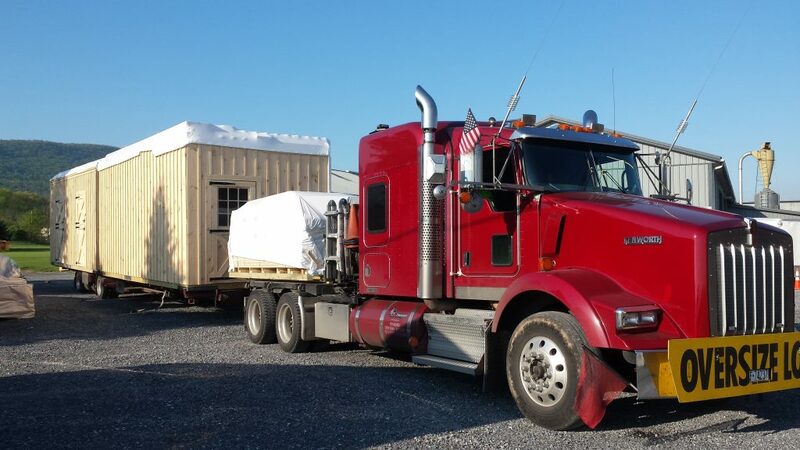 The 5’x9′ roll doors with transom windows are built by Appalachian Woodcrafts. 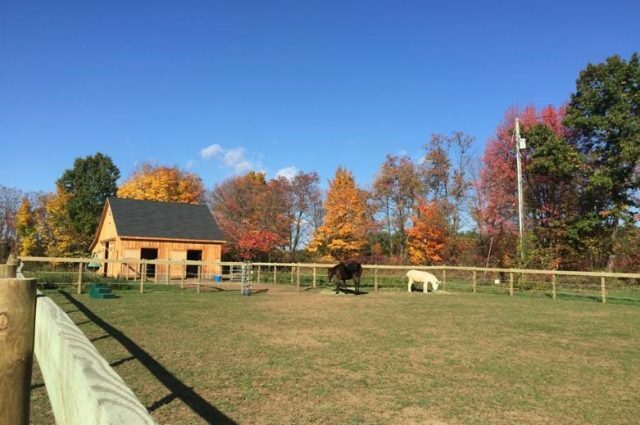 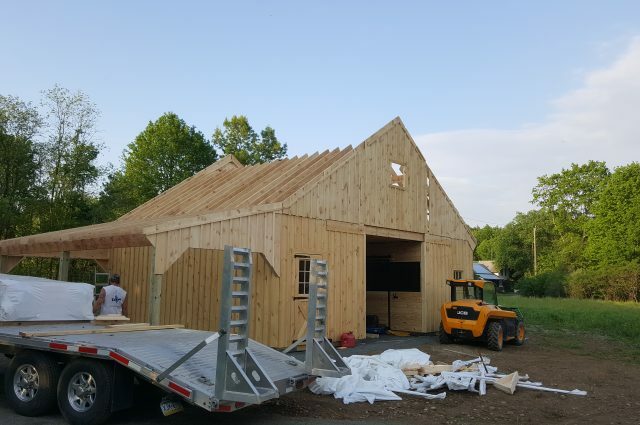 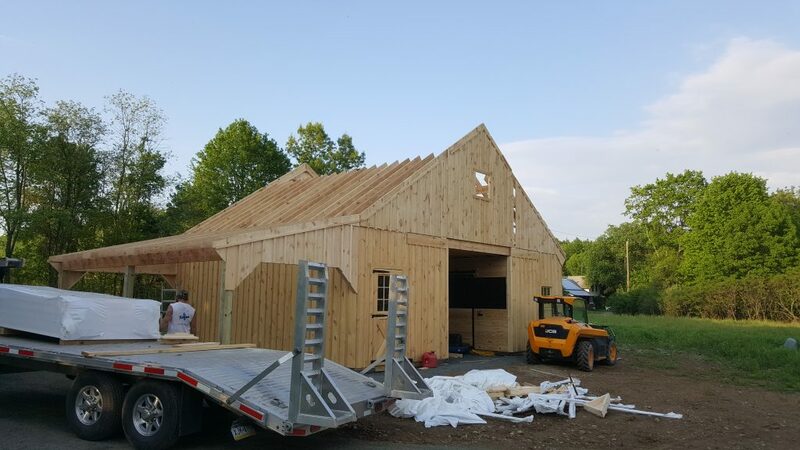 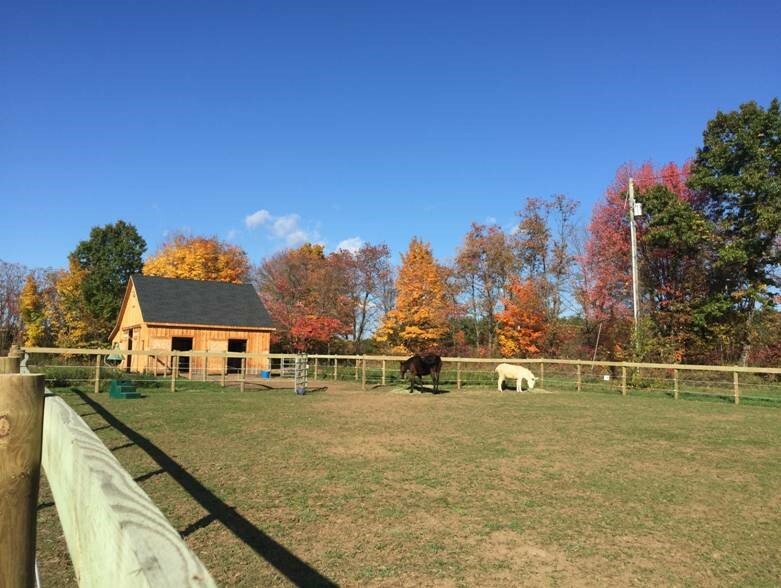 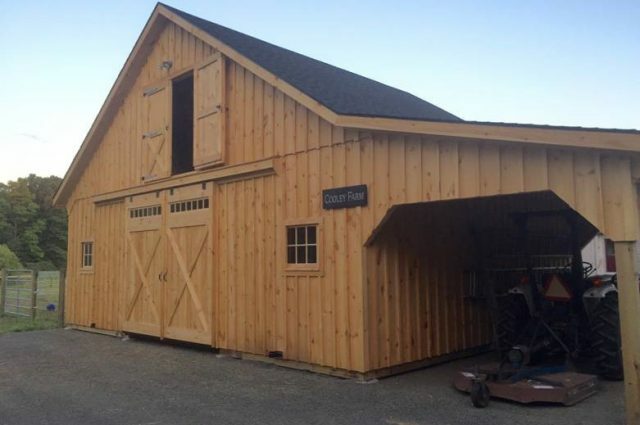 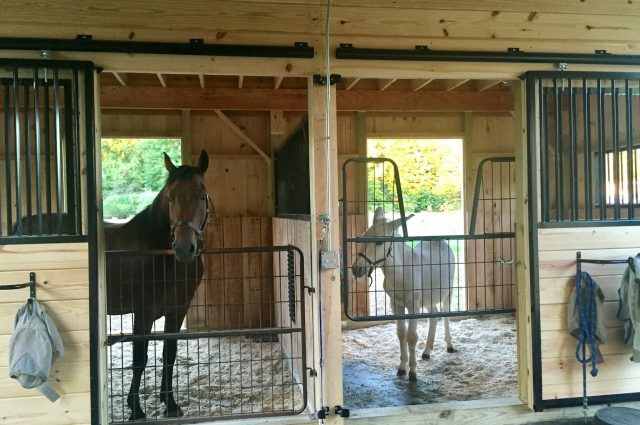 This modular barn has (3) 10’x12′ stalls and a 10’x12′ tack room. 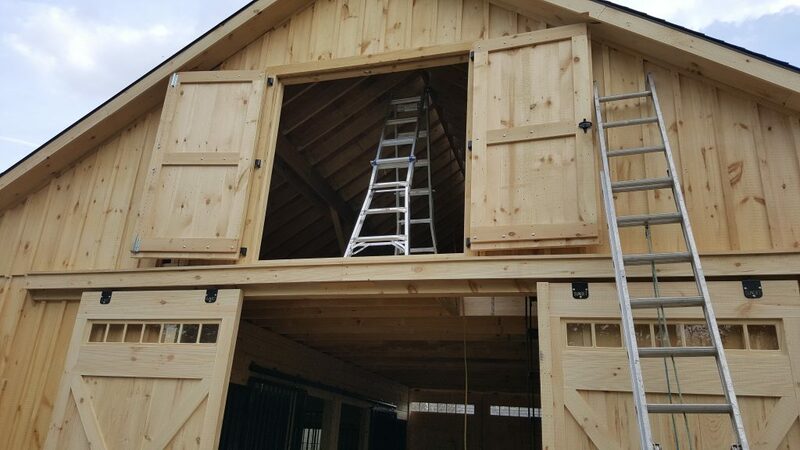 It has a full loft which is accessed via ladder. 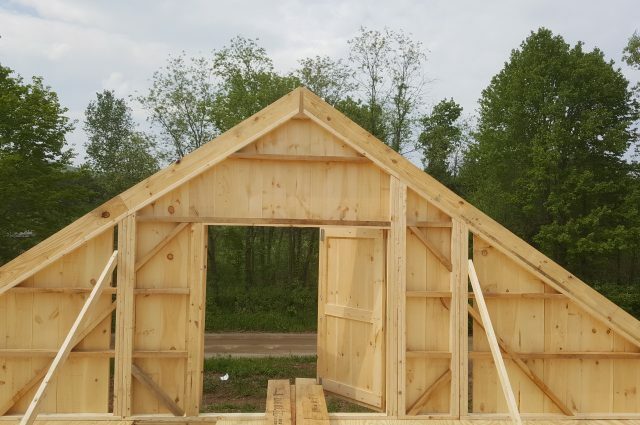 In the loft, one gable end has double swinging loft doors. 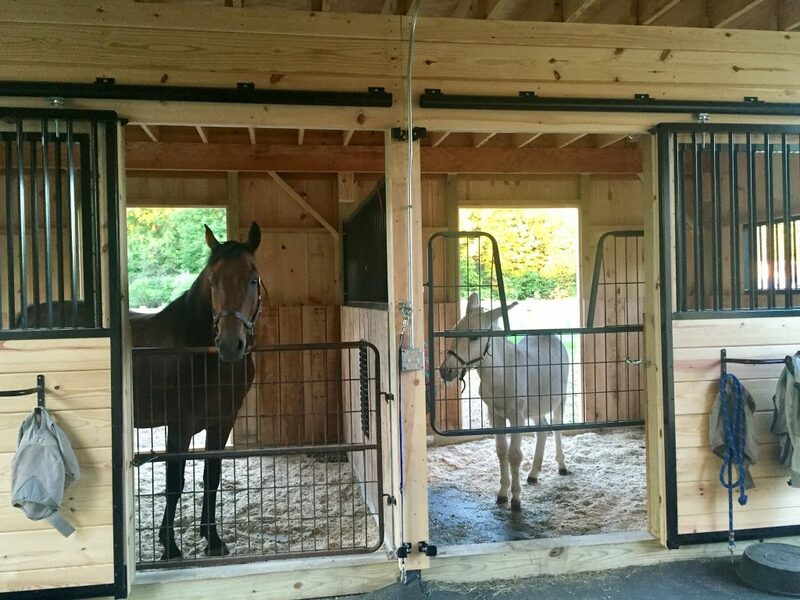 The stalls have a sliding 4’x7′ stall door and a window and (2) stalls have a dutch door to the outside. 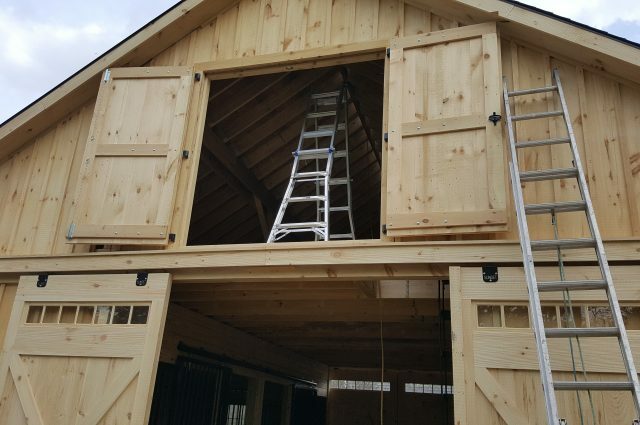 The tack room has floor and a service door into the center aisle and a service door with window to the outside.